April 2015 Income, Engagement, Thank You! →April 2015 Income, Engagement, Thank You! It’s 1st May here in Cameroon as I write this post. Companies and laborers are out for celebrations. Yes it’s labor day for those who have a “boss”. But what if you are your own boss? Being a freelance developer, Internet marketer and blogger, I became my own boss years back. Now, permit me say it’s a life full of awesomeness. That’s why right this moment, my kids are hanging allover me. I’m typing this post in an atmosphere of fun. We just got our breakfast and after publication, I’ll take them out for a drive – for some nice things and goodies for the kids. I took a decision, after some studies to empower my blog for more earnings in the future. So I’ll be doing less of paid post and more of Affiliate Products reviews. I explained more on how this can help your blog’s income potentials in this guest post I published on Barbara’s blog. That doesn’t mean I’ll reject paid review offers though. However, if the offers pay too low, of course I’ll turn them down. Again, this report is what this blog directly generates. Income from other channels (Broaded.net, CashDonator,etc) is not included. Unlike past months, I didn’t prospect advertisers in April. My Contact Me page was at work. A lesson to learn from my income reports! When I look at this report, I get excited because I know my new direction will transform my blog and make it a recurring income earner. I have done few Affiliate Product Reviews and these are constantly generating income. So if you want more money from your blog, review affiliate products. NB: Make sure these products are targeted to your audience. I dropped 18 awesome comments. Hello, My name is Romjan Dhayan. I dropped 15 awesome comments. Hi, My name is Sayantan Mahato. I made 15 awesome comments. Hello, My name is TonmoyParves. Hi, My name is Chioma Anozie. Hello, My name is Saifi Rizvi. I dropped 9 awesome comments. Hello, My name is Kimsea Sok. Hi, My name is Sneha. Hi, My name is Erik. I made 6 awesome comments. Hi, My name is Aderemi Dare Daniel. Hello, My name is Nitin. Hello, My name is Edi Dominic. Hi, My name is Shilpa Verma. I dropped 5 awesome comments. Hello, My name is Ologundudu Abraham. Hi, My name is Johannes. Hi, My name is Zac Johnson. Hi, My name is Nanda Rahmanius. Hello, My name is Eedris Muhammed S..
Hello, My name is Harleena Singh. Hello, My name is Mohinder Verma. Hi, My name is Nisha Pandey. Hello, My name is Simranjit singh. Hi, My name is Christy. Hi, My name is Gordan. Hi, My name is Aderemi Dare. Hello, My name is mudasir khan. Hi, My name is Ashvin. Hello, My name is Philip Verghese Ariel. Hi, My name is sk.vignesh. Hi, My name is Kartik chugh. Hi, My name is Mona Liza. Hello, My name is Emebu. Hi, My name is Lawrence. Hi, My name is Naved Khan. Hello, My name is Shamsudeen. Hello, My name is Rahul Yadav. Hi, My name is Yavan. Hello, My name is Sourav. Hi, My name is Md Tanvir Ahmed. Hi, My name is Samantha. Hello, My name is rahul choudhary. Hi, My name is Olayinka. Hello, My name is YourFriend. Hi, My name is kaushik. Hello, My name is Raza Nagori. Hello, My name is Chris Hufnagel. Hello, My name is Joseph Ybholy. Hi, My name is jatin singh. Hello, My name is Gurpreet. Hello, My name is Salman. Hi, My name is Dennis Seymour. Hi, My name is Edi Dominic Ifediri. Hi, My name is Naveen Kumar. Hello, My name is Kuldeep. Hi, My name is CATRINA ELLIOTT. Hi, My name is Pankaj Mondal. Hi, My name is Ron Killian. Hi, My name is Akaahan Terungwa. Hi, My name is Irene Anum. Hi, My name is David Williams. Hello, My name is Jyoti Chauhan. Hello, My name is Mohammad Naved(Neo). Hello, My name is Prajwal. Hello, My name is Arpan. Hello, My name is SRM. Hello, My name is Hadharm Hiidee. Hi, My name is Fakharuddin. Hello, My name is Alize Camp. Hello, My name is Alexa Pablo. Hi, My name is WP Brain. Hi, My name is Avnish. Hi, My name is Gopala Krishnan. Hi, My name is MSI Sakib. Hi, My name is I. C. Daniel. Hello, My name is Juliana Onwumere. Hello, My name is Onyema Shedrach. Hello, My name is Zain. Hi, My name is Jaidayal Saraswat. Hello, My name is Kharim. Hello, My name is Sasidhar Kareti. Hello, My name is Sumit. Hello, My name is Ahmad Fahrurroji. Hi, My name is Maketta. Hello, My name is Sarah Park. Hello, My name is Chiranshu Monga. Hi, My name is Muhammad Ismail. Hello, My name is Almeta. Hello, My name is charan. Hi, My name is Majharul Hossain. Hello, My name is sai krishna. Hi, My name is Pritam Nagrale. Hi, My name is Lem Enrile. Hello, My name is Khaja Moin. Hi, My name is Paul Savola. Hello, My name is Charlene. Hello, My name is ganesh thite. Hello, My name is rohan shinde. Hi, My name is Nitin Singh. Hi, My name is Oskaaay. Hello, My name is Zara Khan. Hi, My name is Arbaz Khan. Hello, My name is Jeffrey Barranco. Hi, My name is danyel. Hello, My name is TR. Hi, My name is Harsh Chauhan. Hi, My name is Hunain Ahmed. Hello, My name is Maleek. Hello, My name is Ashvin Patil. Hi, My name is Copa America 2015. Hi, My name is Mohit. Hello, My name is Batty. Hello, My name is Android Learner. Hello, My name is knick knight. Hello, My name is hitesh. Hi, My name is Rahul Suresh. Hello, My name is Atul. Hello, My name is Shalonda Gordon. Hi, My name is Rocky. Hi, My name is SOT. Hi, My name is Abhishek Sood. Hi, My name is Ayesha Kahn. Hi, My name is Fabrizio Van Marciano. Hello, My name is Hiidee. Hello, My name is David Fultner. Hello, My name is Elwood. Hi, My name is Ngah Benoit. Hello, My name is Adesanmi Adedotun. Hello, My name is Jackson Nwachukwu. Hi, My name is Shane. Hello, My name is Emmanuel E. Sulai. Hi, My name is Hamim. Hello, My name is Gurvi. Hello, My name is Jerry – the First. Hello, My name is John Hamilton. Hi, My name is Nico. Hello, My name is vicky. Hi, My name is kaviyarasu. Hi, My name is Naman. Hi, My name is Dave Hood. Hello, My name is Syed. Hi, My name is Mark..
Hello, My name is Richard Miller. Hello, My name is Sreeraj M Ajay. Hi, My name is Andy Ramkal. Hi, My name is Edwin Torres. Hi, My name is Elva T.
Hi, My name is Nilesh Patil. Hi, My name is Sylvia. Hello, My name is umair. Hi, My name is Kharim Tomlinson. Hello, My name is Abhishek Bamotra. Hello, My name is Mesothelioma. Hi, My name is Kostas. Hello, My name is Nestor Nidome. Hello, My name is vishal fulwani. Hi, My name is Anshul Mathur. Hello, My name is Ravi. Hi, My name is Yogesh. Hi, My name is decoslim. Hello, My name is Jasmeet Singh. Hello, My name is Olawale Daniel. Hi, My name is Cricket Betting Tips. Hi, My name is Rohit Singh. Hello, My name is thetechtime. Hello, My name is Abu Fateh Bappy. Hi, My name is Vasanth babu. Hello, My name is Lalit. Hi, My name is Lohani. Hi, My name is Brian (. Hi, My name is Richard King. Hello, My name is Rabin. Hi, My name is Defencely. Hello, My name is zahid. Hello, My name is Mayank. Hello, My name is Wakar Jamsin. Hi, My name is Sayeed. Hello, My name is Ovais Mirza. Hi, My name is Calvin Kent. Hello, My name is YesGulf. Hello, My name is subha. Hello, My name is lelemavia. Hello, My name is John Maduka. Hi, My name is hunny garg. Hello, My name is Ben Murray. Hi, My name is Saurabh Tiwari. Hello, My name is Robinsh. Hello, My name is Syed Shahbaz. Hello, My name is Jack Wilson. Hello, My name is Pulkit Trivedi. Hi, My name is Pascal Godson. Thanks for being part of my community. This is really awesome to see some honest attempt to encourage others. You are doing great getting some sponsored articles. But when I compare with others, I think you are not targeting web hosting for affiliate marketing. It would be nice if you can share why? I always love to see your Income report every time you publish it because it inspire me a lot. This also show how transparent you are with us with your strategies and how we can also make money like you. Good to see my name in the list, I was also not so active from some months as I was busy on creating RetweetBird which is live now! You can check it out. Can you also share about your hosting experience. I can see these days many bloggers are recommending Bluehost & Hostgator. I had missed this Guest post. Thansk for sharting this again here. And I am so glad that I am again in this list. Wish a very happy weekend. Thanks for being active in my community. 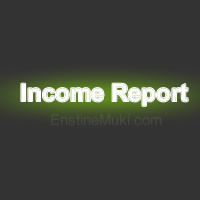 really a nice income report… I liked it…. Really impressive. every time i visited your blog, get something unique and amazing stuffs. I really like to visit your blog every time. Thanks for the visit and comment again today bro. May this month be better than the rest for you! And it’s always good to be here, however times ones been. Of course I read your guest post at Barbara’s place – more awesomeness you shared with us. It has been an awesome month for for reading and learning more on blog engagement through your tricks and tips share. Am fully of many work in hand for month of April, that is why my comment on this section is so poor but hope to bounce back in this new month. I hope we get on more engagement this month. It’s a sincere pleasure seeing that I’m part of the awesome community here that has kept things vibrant…your drive is really commendable; your knowledge of the ways of making money online, quite appreciable. Do make the day great! Like you, I’m my boss and really have no need to celebrate workers day…maybe, when the world fixes a day aside for enterpreneurs, we’ll all participate. What do you think? Hi Enstine and happy new month over there, it’s a great pleasure you do share your monthly income to let others be more determined about blogging. Like you I’ve cut back on my paid posts. Now I only do them if I like the subject content and as long as they offer me enough for the task. I’m slowly starting to build my passive income on a few of my niche sites. That is now where I’m focusing most of my attention for the moment. Thanks for showing up and dropping a comment buddy. I think that’s the way to go and build a solid income channel. It’s an error to concentrate on the present and neglect the future. I hope you are set for a wonderful weekend buddy because that’s my prayer for you. I’m pretty sure I will because it’s my weekend off. I’ll try to get in a little blogging and spend some time with the family. I’ll also try to come back more often to see what you’ve been up to. You have a great weekend also. Enstine, I think that you always did the amazing working every months. You know..? You made a great earning with sponsored post. Actually, I have read your article about SeedingUp, and I have register that but I’m still not able to get any sponsored post. I wish that I could do it better like you. Thanks for link me in your community list, I really appreciate this. Thanks once more for commenting. Good to see your earnings buddy. I really glad to see myself in the 2nd position of this big list. Thanks for mentioning me in this post 2nd position. I wish you will earn more money via blogging. Happy blogging. Thank you. Muki Sir your writing skills are just so good i really appreciate your hard work for bloggers and you made great plugins thanks sir! I wonder if your stats will go up from Google as I hear that they frown on sponsored posts. I know back in the day, bloggers were making sure to put one or two regular posts in between the sponsored ones. I will be posting in the days ahead about this. Google doesn’t have a problem with paid post. What they are concerned about are links that pass pagerank. Very encouraging that you earned so much from your blog AS WELL AS taking time to be with your family – which is so important. I’m building up a bank of review posts on my site and starting to see the benefit – slowly. I’m keen to learn more about the sponsored posts, but as you know I’m rather behind on reading up and implementing at the moment. On the “to-do” list! I’m publishing a post on Monday about the danger of Sponsored post. Hope you come around again. Enstine Muki recently posted…Speech to text ~ Transcribe any audio with 99% accuracy! Hey Enstine It,s Great Earning and Great Achivement and hope your will Achieve your future Goals fast. Enstine Muki recently posted…5 Ways to Provide Real Value with Your Blog! just received your monthly comment of this month , i was shocked with lots of following people with commenting as a new blogger.. am gaining a wonderful knowledge on different topics when visiting pro bloggers. thanks for approved my comment in your top commenters list will visit your blog again.. Thanks for being part of my community. I appreciate you reading and commenting my blog. Great earning, I hope someday and still to do for my best effort to give inspiration to the others like you. I must sincerely express how honored I feel, to have you reference me in your blog. Albeit I’m a new blogger who has been involved in different ‘Trail and Error’ methods, I really acknowledge that from the time I stumbled upon your blog, my perspective to internet marketing changed. Once again, thanks a bunch, for mentioning me on your blog. I really glad to see myself in this post. Amazing work, you earned so much from your blog. I am really inspired by you.. waiting for your future posts!! Good to read your income report of April, and nice to read you’re going full on the path of affiliate marketing, which in my opinion is much of better ways to monetize a blog. You write the product review today and the life income potentials of that post remain active for as long as the products is in demand and your blog too exist. Yes there is more to be earned with affiliate marketing ;). Sponsored post paid once but affiliate review keeps the money coming in. It is Good Earning and Great Achievement and hope your will Achieve your future Goals fast.Thanks a lot for adding me in your Commenters List. I’m sorry for being late here. Thanks for mentioning my name in your list. I really appreciate it. Do have a great day for you! Yes that’s quite higher that most people’s salary and I’m working hard to improve on it. I read your report too and I’m excited you are making money too. Good to read your income report of April, Again with great earnings and achievements, really impressive. Glad to see your guest post too. Thanks for sharing it with us. Good wishes for the May month, you can achieve your new goals 🙂 and nice to read you’re going full on the path of affiliate marketing, which in my opinion is much of better ways to monetize a blog. You are doing great with sponsored posts! Maybe you should start a separate company that lets bloggers find paying advertising. It looks like a great place to start. You are earning good amount of money from blogging. You are making good income from sponsored posts. You are an inspiration for bloggers like me. Glad to see that you are posting positive reports every month. Most of your income comes from sponsored posts but I hope that in the coming months, affiliate income will take over. I am inspired by your blog and how you are using it to earn income from blogging. Often people just dream about making income online. You have proven that it is possible. You are making decent money and this will only get better with time. Well done you for being an inspiration to us all. VTW recently posted…Guaranteed Rental Income Scheme in Leeds: No Rental Voids? Always awesome to go through your income reports! Seems motivating. Estine sir You have posted this article a long time ago. But it is truly very inspirational. Thanks for sharing your earning information.